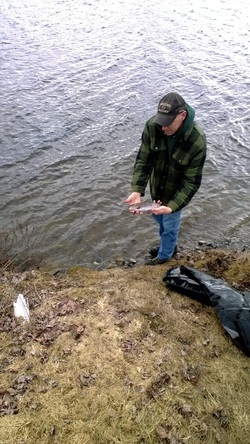 The algae, which threatens salmon and trout, may arise from global warming, Dartmouth and Environment Canada researchers say. 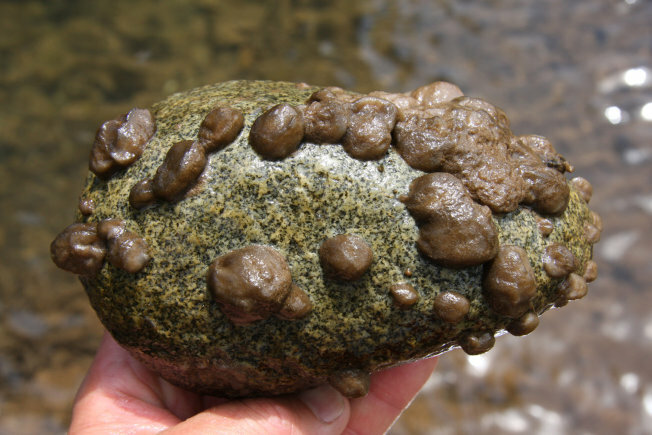 The freshwater algae known as "rock snot" grows on river bottoms worldwide. Researchers from Canada and Dartmouth University have found that rock snot – a globulous bloom of algae that blossoms in some freshwater riverbeds – more likely stems from changing environmental conditions and global warming, rather than the accidental introduction of new species or the emergence of new genetic strains, as has been previously theorized. Algae known as "rock snot" or "didymo" covers a freshwater river bottom. The findings have real implications: The algae, officially known as Didymosphenia geminate, or “didymo” for short, poses a threat to salmon and trout by affecting the insects the fish eat. Groups have sought to clear the growths through multimillion dollar eradication efforts that harness chemicals and fishing restrictions, but the Dartmouth findings suggest that the solution may in fact lie in mitigating other environmental factors. “Correctly identifying an invasive species as either native or nonnative is important for developing sound policy, management and scientific research programs because effective responses depend on knowing whether the species' dominance is caused by ecological or evolutionary novelty, changes in environmental conditions that facilitate it, or both," Professor Brad Taylor, the study's lead author, said in a statement. Rock snot blooms have been recorded as long as a century ago, yet “this information was either ignored or the idea of a new genetic strain was adopted,” Taylor said. Algal blooms are often caused by excessive levels of phosphorous or other nutrients in freshwater, yet rock snot actually appears when the amount of phosphorous is low. Here’s why: Didymo lives on the river bottom and draws its nutrients from the water above. When those nutrients are rare, the didymo produces long stalks that push higher into the water. The stalks then cause thick mats to cover the river bottom. “The idea that low phosphorus can cause an algal bloom is hard for people to accept because we are all taught that more nutrients equal more algae,” Taylor said. The official ice out was the evening of April 23. 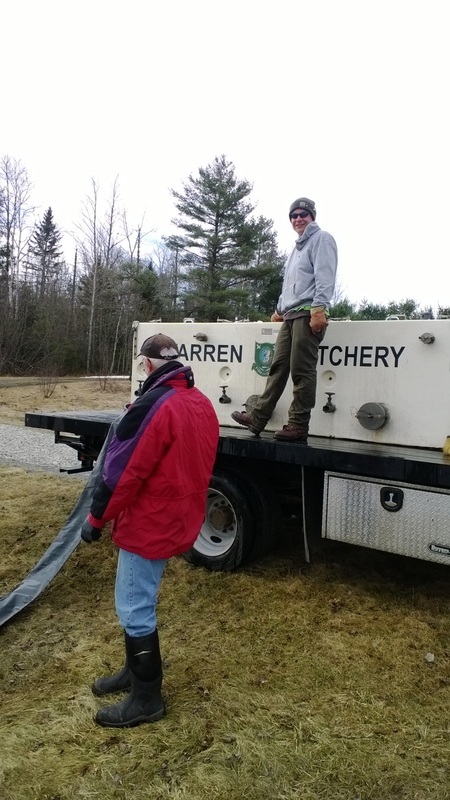 The next morning the Warren Fish Hatchery was already out at the lake stocking it with 1000 fish! 700 rainbow trout and 300 brown trout were released into Tarleton. Thanks to Robin Ascher for the pictures and for being there to document it! ﻿﻿Our Paid Lake Host observed Chinese Mystery Snails near the boat launch during the summer of 2013. He spent time digging in the sand along the shore on non-busy days and found a total of six or seven snail shells, four of which were alive. This was over about a 200 foot stretch of shoreline, including in the water, the depth of which ranged from an inch to 2 1/2 feet. The four live snails were submitted to NH Department of Environmental Services. Amy Smagula, DES manager of exotic species, confirmed that the specimens were indeed Chinese Mystery Snails. According to DES and NH Lakes, there are no specific control methods for the Chinese Mystery Snail being recommended or practiced in New Hampshire’s lakes. 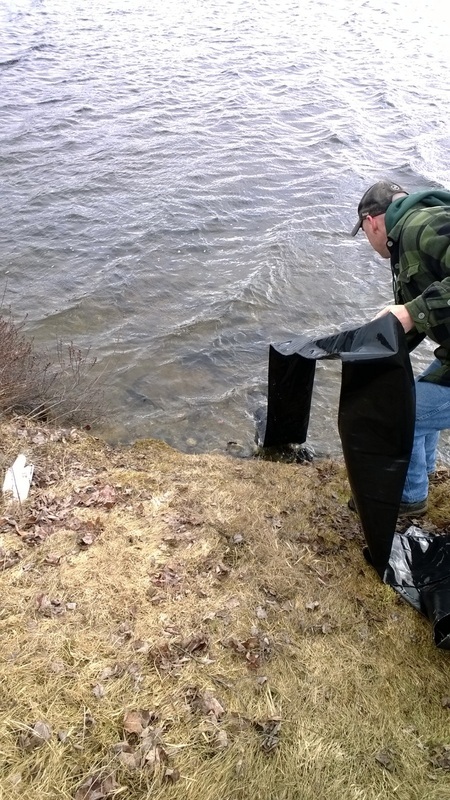 Of course, the best type of control is prevention through the “Clean, Drain, and Dry” approach currently advocated by the Lake Host program, and not dumping bait buckets, aquariums, and the like into water bodies. In our case, preventing the further spread of the snail is a priority. If Chinese Mystery Snails are found, they can be hand removed and composted in an upland, enclosed location. One of my all-time favorite pictures of Mt. 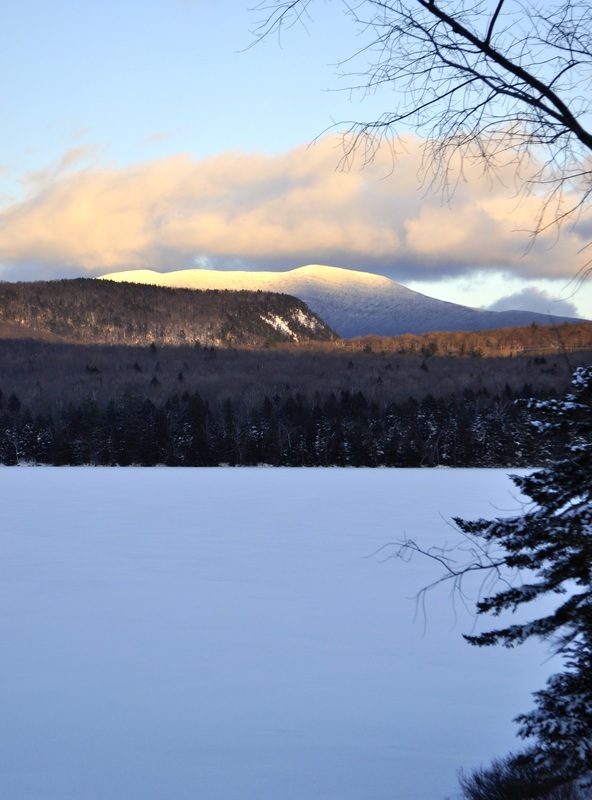 Moosilauke, taken from the shoreline of Lake Tarleton, January 2014.